When I first arrived in Vail, some 40 years ago, Vail was celebrating its 10-year anniversary. Life was very different than what it is today. The majority of our residents lived much closer to the center of town — even Lionshead Village was considered an outpost. Back then, we had the Village Market, 1st Bank and a department store “Bullock’s,” all in the Crossroads Center, where the Solaris Center is today. We even had a full-service gas station on the southwest corner of the main roundabout is located. In the early ’70s, local businesses depended more on our local residents for support during the slower times (October, November, April and May). The demographic ratio of full-time residents to second-home owners was much different. In the off-seasons, when tourism would slow down, local businesses could still rely on those of us that lived here full-time to keep the businesses that did stay open somewhat busy. As the Vail Valley grew farther and farther west to Eagle-Vail, Avon, Edwards and finally Eagle and Gypsum, it became increasingly more difficult for our businesses to thrive in the offseasons. Also more and more businesses were opening up downvalley to take care of the new residents and families who had chosen to live there. It became increasingly more important to have an organization to help local retailers, restaurateurs and hoteliers promote their respective businesses, as well as to have voice in the direction our town’s government was taking. First with inception of the Vail Resort Association and then later with the formation of Vail Chamber and Business Association both organizations were instrumental in facilitating the needs of our town’s businesses. Also the VCBA was the main partner with Vail Resorts in initiating the current Merchant Pass Program. The current merchant pass program was started in the mid- to late 1990s, when a season’s ski pass cost almost a thousand dollars, brought the merchant pass down to, I believe, just under $500, with the requirement that the individual attend a customer service class. The Merchant Pass Program today still offers local businesses the ability to purchase a season ski pass for its employees, as well as offering the late arriving employee the ability to buy a discounted ski pass if they arrived too late to purchase an Epic Pass. These days with the issues concerning our business community becoming ever more complex. Issues include recycling, the possible prohibition of plastic or paper bags, where and when deliveries can be made, and where and when our guests may be drop off from their hotel shuttle vans and limos. It is even more important for our local business owners and managers to have an organization to be their spokesperson and represent the interests of our many varied businesses before our town’s government. The VCBA, along with representing the interests of our business community, also is a participating partner with other organizations in facilitating events that will bring more guests to our town. One such event is taking place this Wednesday. “Merry in the Mountains” is our program to kick off the holiday season in Vail. A night dedicated to our local community taking place from 4 to 8 p.m. in both Lionshead and Vail villages. Come see Santa on a fire truck, free ice skating at Arrabelle and Solaris ice rinks and generous deals from participating businesses. Bill Suarez is longtime resident of Vail. 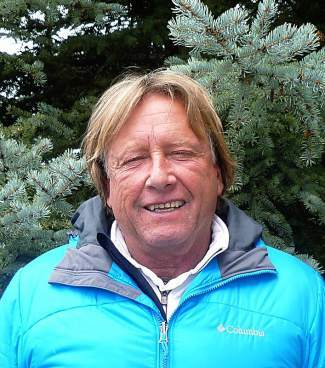 He is on the boards of the Vail Chamber and Business Association and the Vail Recreation District.